1LEASE PRICE IS ON A 2019 LS FWD EQUINOX FOR 36MONTHS WITH $2995 DOWN PAYMENT . WHILE SUPPLIES LASTS. WITH APPROVED CREDIT THRU GMF 700 SCORE OR HIGHER. PROGRAM IS 10,000 MILES AND.25 CENTS PER MILE OVER. OFFERS CANNOT BE COMBINED. ALL PMTS ARE PLUS TAX, TITLE, LICENSE, AND DOC FEE. PLUS $395 DIPSOSITION FEE.NO SECURITY DEPOSIT REQUIRED. GM LOYALTY PROGRAM AVAILABLE TO CURRENT BUICK, GMC, AND CADILLAC LESSEES. MUST SHOW PROOF OF CURRENT CHEVROLET LEASE THROUGH ALLY FINANCIAL OR U.S. BANK TO QUALIFY FOR CHEVROLET LEASE PROGRAM. COMPETITIVE LEASE PROGRAM EXCLUDES CURRENT GM LESSEES. PROGRAMS ARE THRU 03/31/19. 19NC092 19NC387 2Excludes L models. Monthly payment is $13.89 for every $1,000 you finance. Example down payment: 5.2%. Must finance with GM Financial. Some customers may not qualify. Not available with lease and some other offers. Take new retail delivery by 4/30/2019. See dealer for details. Are you looking for a dependable vehicle for your family or a fuel-efficient engine for your commute to work? Look no further! The 2018 Chevy Equinox comes packed with notable features to get you to your destination safely and comfortably. Have a new driver in your family? The Equinox allows you to set speed, radio, and seatbelt settings for teen drivers with Teen Driver technology. Have peace of mind knowing that these settings and additional alerts such as the Side Blind Zone Alert, Forward Collision Alert, and Low Speed Forward Automatic Braking will help assist the new driver with crucial safety checkpoints. Outside of the safety features for you and your teens, the 2018 Chevrolet Equinox can save you some extra money at the pump with an estimated 30+ MPG on highway roads with the Equinox's 1.6L Turbo-Diesel engine. Tech enthusiasts enjoy the functionality to connect up to seven devices to built-in Wi-Fi. You can choose from three different engines with up to 252hp so you can get all the power you need. • With up to 63.5 cu. ft. of storage and seating for up to five passengers, the Equinox has space for you, your family, and all of your gear. 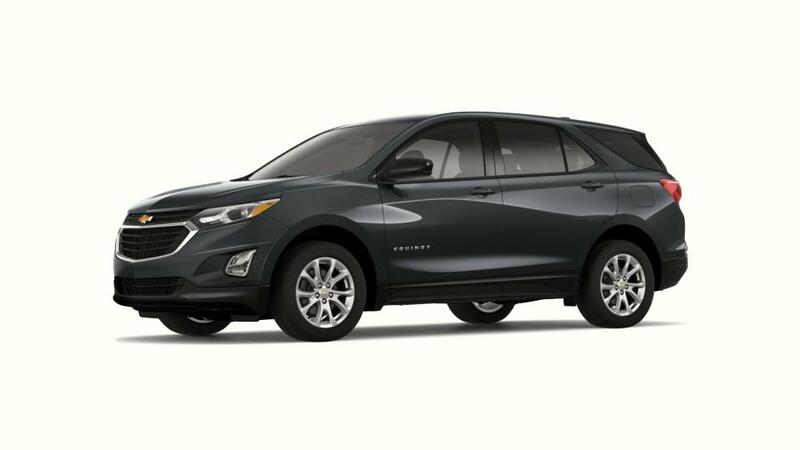 Search our inventory of new Chevy Equinox in North Canton and decide on the color and options that are right for you. Call us at (330) 266-4005 with any questions you might have about Chevy lease offers or purchasing a 2018 Chevrolet Equinox.